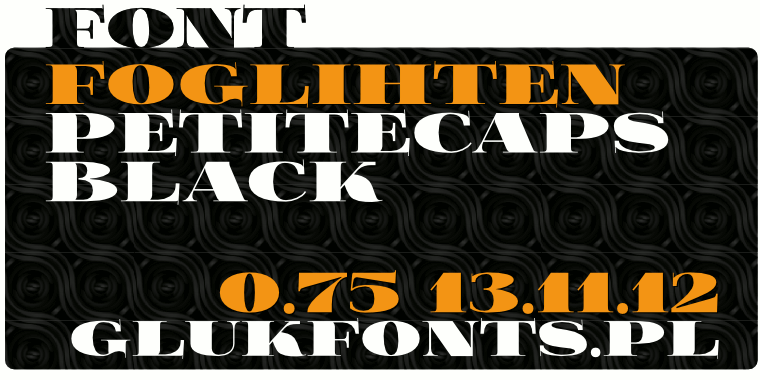 Serif font Fogli­ht­en­Black­Pcs is sup­ple­ment for my font fam­ily Fogli­hten→. Font con­tain Petite­Cap­i­tals with high con­trast for Latin and Cyril­lic and Orna­ments (Styl­is­tic Set01). Addi­tional Styl­is­tic Set01 is as sep­a­rate file FogBPS01.otf.